Come home to a taste of island cuisine! 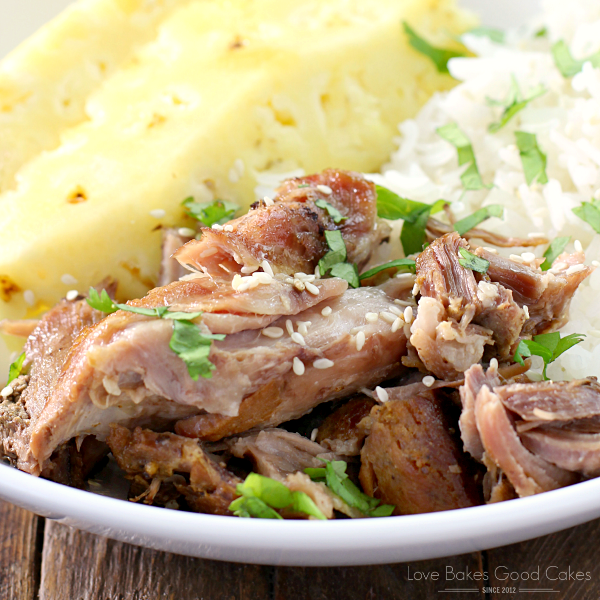 This easy Slow Cooker Polynesian Pork recipe will be a new favorite! I’ll admit that I’m not always very good at using my slow cooker. To be honest, I usually forget about it, which is kind of sad considering how much easier it can make life sometimes. 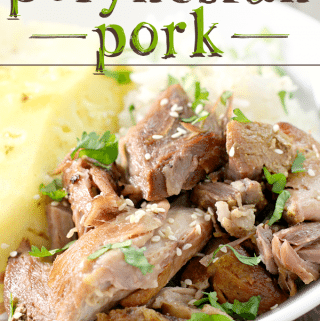 One of my goals for this year is to use my slow cooker more … starting off with this Slow Cooker Polynesian Pork recipe! 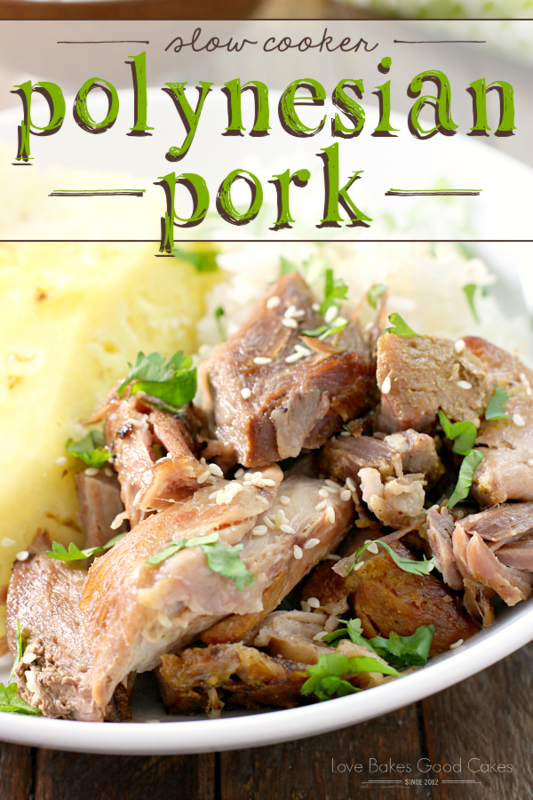 We eat a lot of chicken in the Love Bakes Good Cakes house, so this is kind of a rare occurrence that I’m sharing a pork recipe! 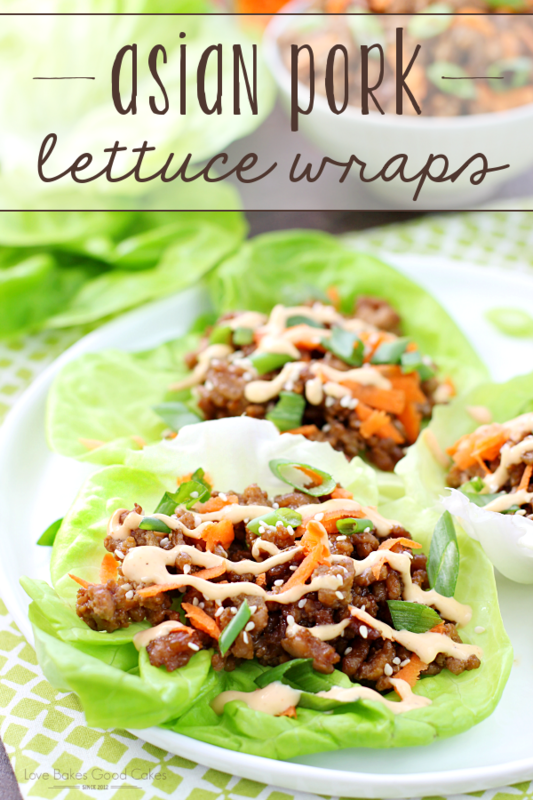 I will note that this recipe is a favorite with my boys – I never have any leftovers! Maybe I should include this recipe on our menu more often?! 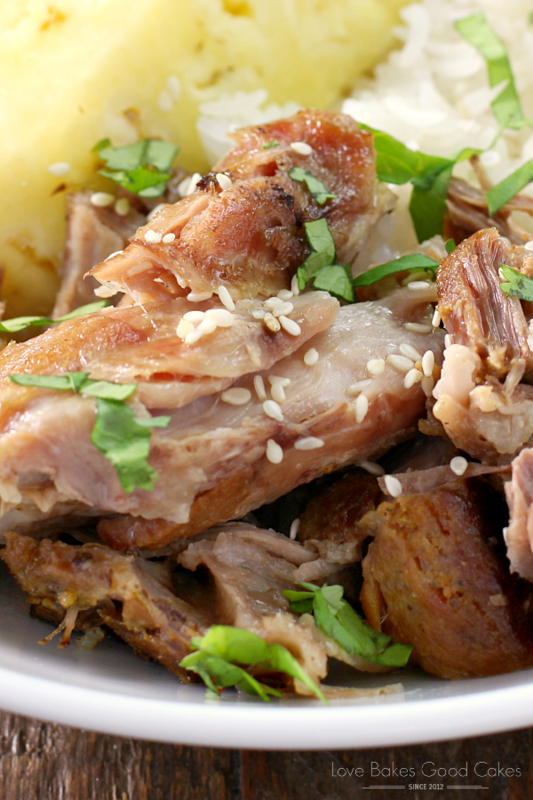 With just a few ingredients, it’s easy to transform a pork roast into a taste of the islands! You’ll just need salt, curry powder, mango chutney, and pineapple juice for this recipe. And a pork roast, of course! 😉 No plane tickets to tropical destinations required. Although, that would be awesome too! Oh yeah … top it off with some sesame seeds and chopped cilantro. 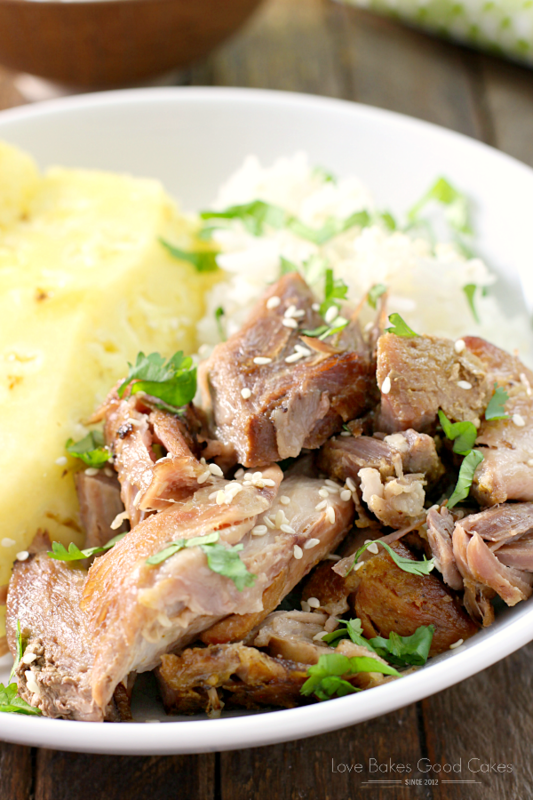 We like to serve this Slow Cooker Polynesian Pork with a side of steamed rice and fresh pineapple. Does dinner get any easier or more delicious?! In a bowl, combine salt, curry powder, garlic, and mango chutney until well combined. Rub the chutney mixture all over the pork roast. Place the roast in a slow cooker. Pour the pineapple juice in the slow cooker. Cook on HIGH 4-5 hours (or LOW 8-10 hours), or until pork shreds easily when pulled. 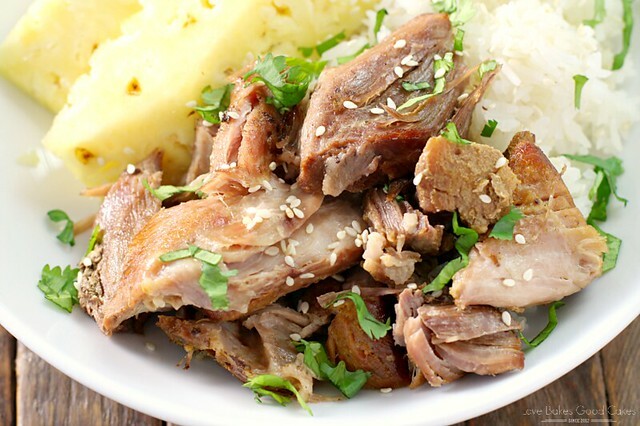 Remove pork roast to a plate or cutting board and pull the pork into large shreds. 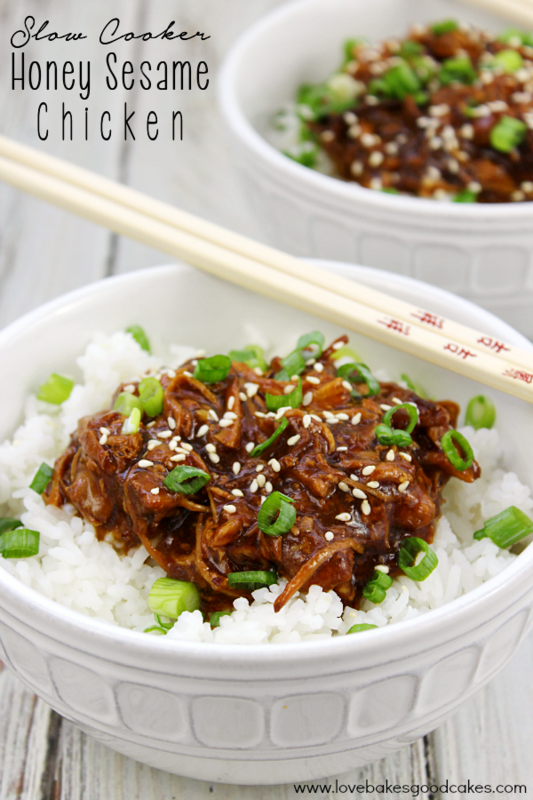 Serve immediately with juices from the slow cooker, if desired. 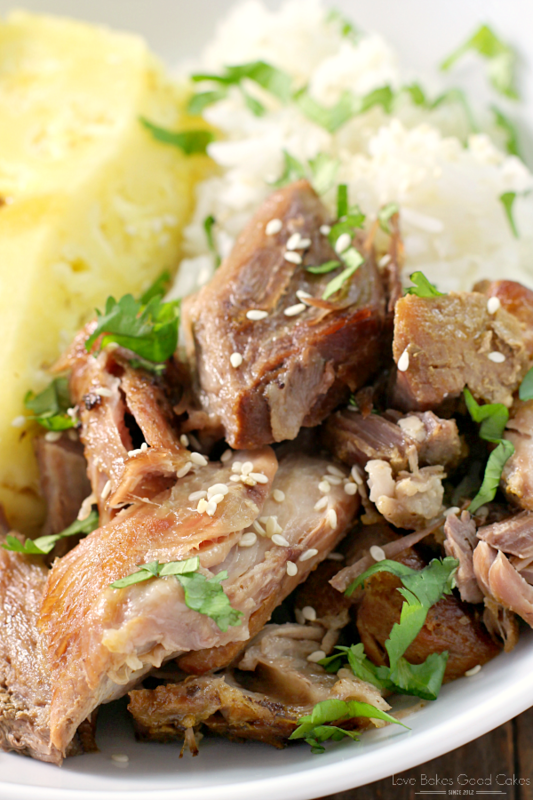 Garnish with sesame seeds and cilantro. That sounds absolutely amazing! I could use a taste of the islands right now as there is freezing rain outside this morning.